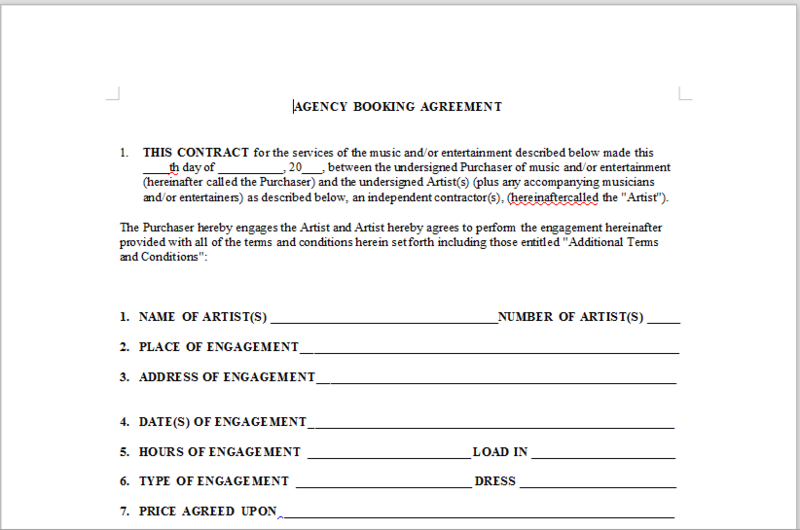 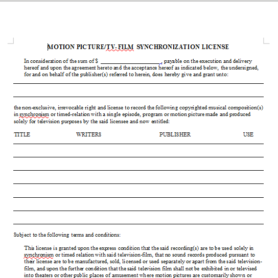 Description: This is an agreement entered into by an individual or company to book an artist to perform at a certain event. 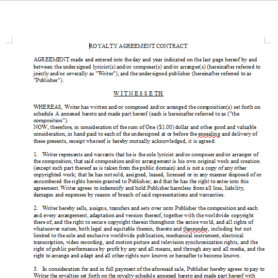 This document sets forth the material terms of the agreement including the date and venue of the performance, the compensation arrangement and a description of the services to be provided by the artist. 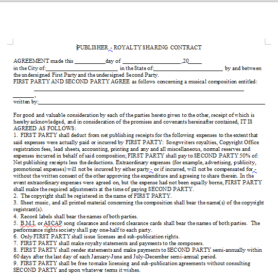 It contains both standard clauses and opportunities for the use of optional terms and conditions making it fully customizable to fit the needs of the contracting parties.